The result of a limited competition in 1928, this town hall is an example of the post-1930 revival of traditional architecture. 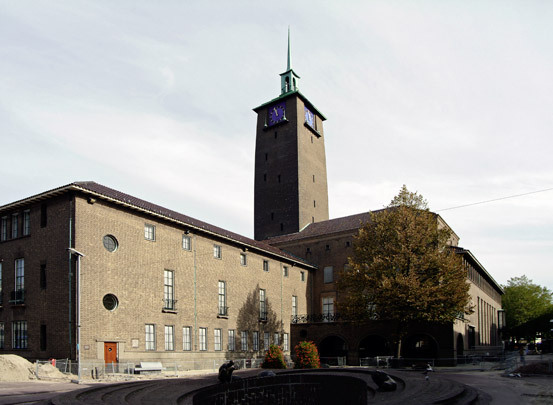 Inspired by Scandinavian models, its bulging tower was copied in detail from R. Östberg's town hall in Stockholm. The taut, restrained facades and narrow entrance conceal a richly decorated interior of art works, mosaics, carpets and leaded windows.